*Tropical Disturbance, Tropical Wave is a random mass of thunderstorms, very little, if any, organized wind circulation. *Tropical Depression is an organized system of clouds and thunderstorms with a defined circulation and maximum sustained winds of below 39 mph (34 knots) or less. *A Tropical Storm is an organized system of strong thunderstorms with a defined circulation and maximum sustained winds of 39 to 73 mph (34-63 knots). *A Hurricane is an intense tropical weather system with a well defined circulation and maximum sustained winds of 74 mph (64 knots) or higher. The hurricane is categorized from 1(weakest) to 5 (strongest). 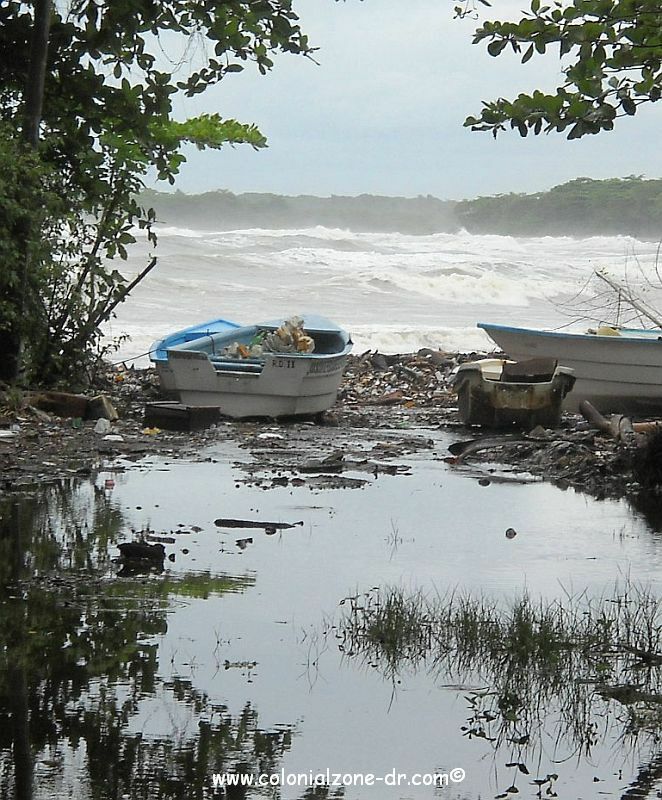 Many hurricanes do weaken when and if they hit Dominican Republic because of its rough terrain. But if a hurricane or Tropical storm does hit it is very devastating to the coastal areas. The obvious wind is a problem but also the rain. In the interior of the island heavy rainfall can cause mudslides and serious problems with the roads being water covered. If you are not in a major hotel or are living on the island and there is a hurricane threat here are a few things to do. Please be prepared in advance. There are many web sites with complete lists on how to prepare. This is a short list of what to do so you can be prepared. *Food that doesn't need to be cooked. Medicines. *First aid supplies. Personal information. 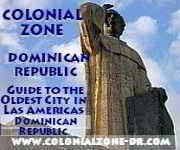 +click to enlarge - Pamphlet put out by the Emergency Center in DR. It is a large file. Please click to open and read (in Spanish). Feel free to save it for reference. Make sure if you do decide to leave your home that you give yourself plenty of time. Do so by heading inland until the storm has passed. 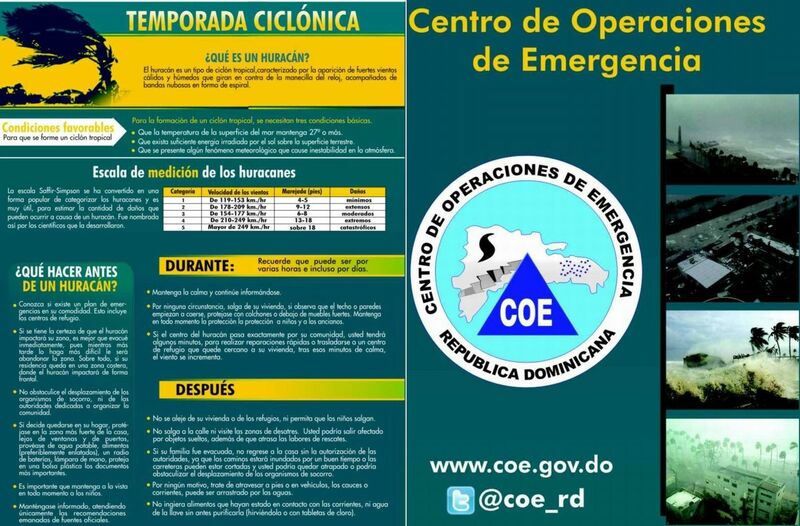 The Dominican Republic Emergency Operations Center / Centro de Operaciones de Emergencias (COE) (checking their web site click on ALERTAS) announces that your area is an evacuation area, it will tell you where the shelters are located and you should go immediately. *Remember you cannot take animals, alcohol, or firearms into a shelter. More information about securing your pet incase of a hurricane on the Dominican Dog Blog. Legend has it that former President Joaquín Balaguer made a pact with The Virgen de la Altagracia (who is Altagracia?) 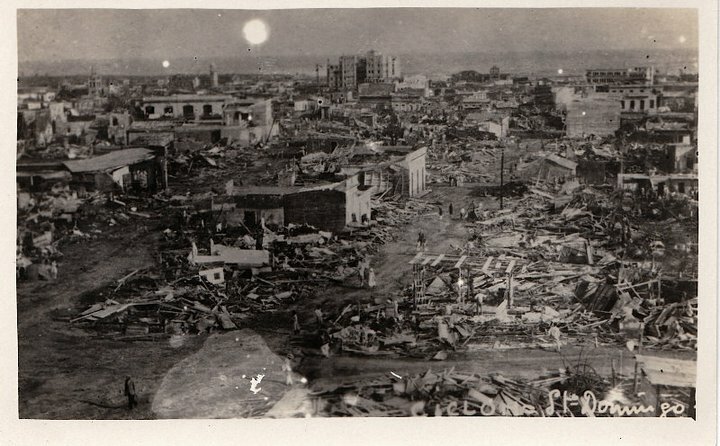 so the country would not have any large hurricanes...read more on the Myths and Legends page. *HURRICANE WATCH means there is a possibility that you could experience hurricane conditions within 36 hours. *HURRICANE WARNING means that sustained winds of at least 74 mph are expected within 24 hours or less. 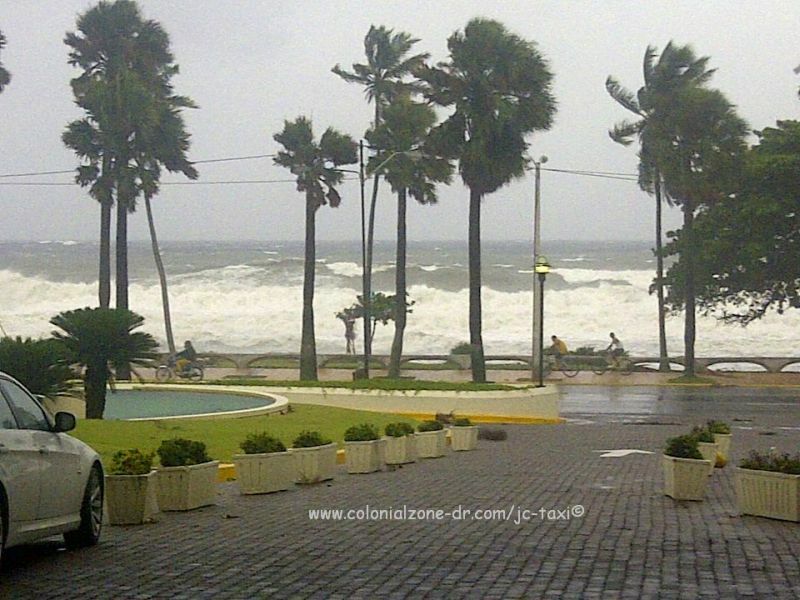 The hurricane season in Dominican Republic usually lasts from the beginning of June to the end of November, with August and September being the months of greatest storm activity. The hotels and resorts are usually prepared incase one does strike while you are here. They will tell you what is best and evacuate you to another place if they see it is needed. In general, the island is prepared for these storms and the tourists are usually taken care of. If a hurricane has hit and you are to be vacationing here just call ahead and make sure all is still ready for your arrival. Many of the buildings in Dominican Republic are made from blocks, cement, iron rods, sand and gravel. These materials are generally weather-resistant. There are also many buildings with tin roofs that can become deadly when they become dislodged. Also watch out for flying coconuts. *Make sure your propane gas tank supply is good and shut off at the time of the storm. *Turn off electricity mains and propane tanks. The National Weather Service, National Oceanic and Atmospheric Administration (NOAA) published a guide to help all be prepared in case of a Tropical Storm. It is a very complete and informative.